Lots of surprises came out of our communities this week! There was the news that Firefox is dropping all plugin support… except for Flash. Yes, the same Adobe Flash that was, not long ago, being dropped left and right. We’ve got a great discussion about the nature of search engines as users where Alan Bleiweiss was kind enough to join in and share some great thoughts, and conversations about structured data, site layouts, and user experience from elsewhere. Like a sugary candy left out in the sun will develop a sticky coating, a crusty shell of cynicism forms quickly over business that get burned by “$200 SEOs”. There are a lot of people trying to do good work, but also a lot of people trying to pull the wool over each other’s eyes. How can a newbie to the scene break through that shell and meet clients? If you have experience to share or if you’re a newbie looking for advice – join the discussion! Now, keep in mind that plugins are different than extensions. As far as users on Threadwatch can tell, this only applies to plugins. so we could be waiting a while for everything to catch up. In the meantime, many webmasters are considering a change of browser. What about you? You know that trendy layout? The one all the most popular sites seem to be using? While it could be working for them, that doesn’t mean that it will work for you too. Heat maps and user testing prove that popular layouts are sometimes killers for user engagement. This thread from WebmasterWorld is about comparing vertical and horizontal layouts for user engagement. All of WebmasterWorld’s heavy hitters showed up for this great thread to compare notes about where website design has come from and where it’s heading – this one is definitely this week’s must read! So it seems to be a bit of a compromise – perhaps search engines are both! 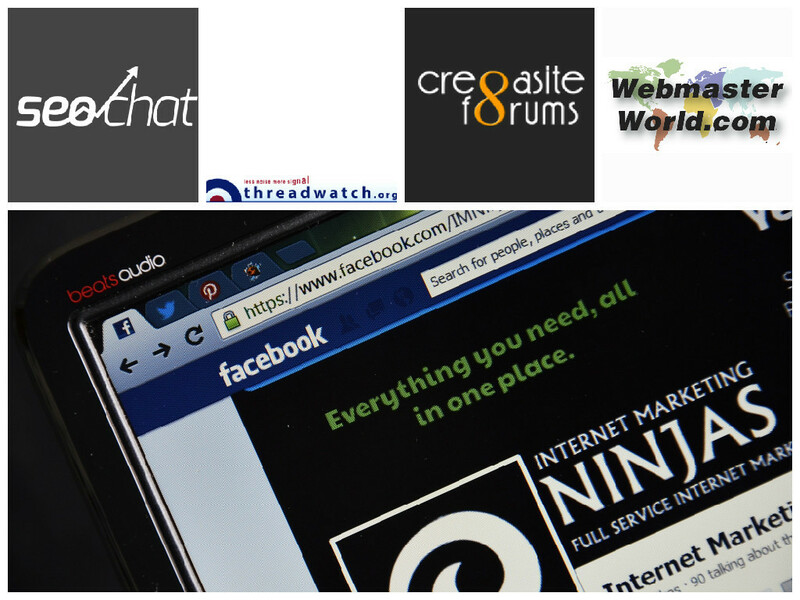 Join the folks of Cre8asiteforums and share your opinion! “Reactions,” are also being called “expressive likes.” They add a little emoji to your like so that you can add some complexity to your thumbs-up. There are also rumors of a “dislike” button – maybe this is what they decided to go with instead. Facebook has been loathe to add a dislike button for years, out of fear for how it could be abused. Would you use a “reaction” if they went global? Are There SERP Advantages to Structured Data? A few weeks ago, in a Google hangout, John Mueller hinted that Google might be thinking about ways to use structured data. Ever since, the SEO world has been all abuzz with talk about how structured data could be made into a ranking factor soon. Just to be clear – it isn’t… yet. But structured data does provide advantages to your listing that can encourage traffic. “… rich results in the SERPs can definitely increase your CTR, so if you have a website on which it makes sense to implement Schema.org (like reviews, prices…etc), I would,” writes user Aleszandro. Before you run off to check – take the link above with you so that you can do a quick audit!